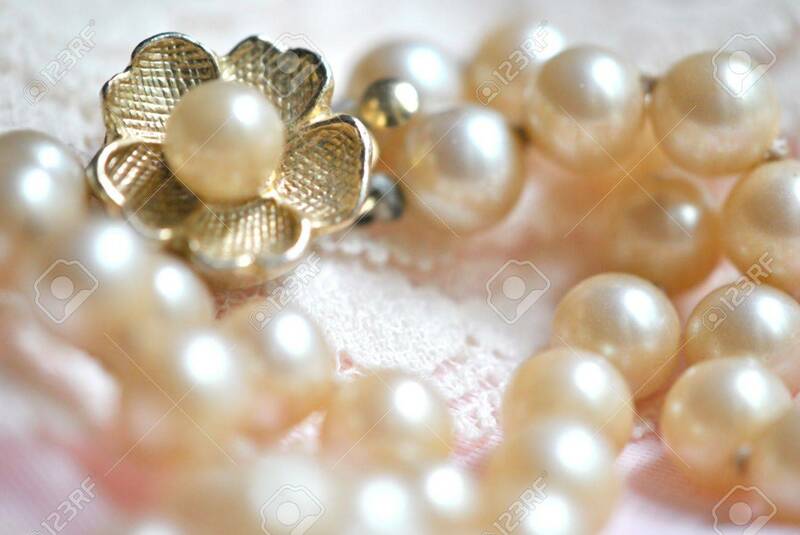 Pearl Necklace With Gold Flower Clasp On Lace Fabric. Shallow.. Stock Photo, Picture And Royalty Free Image. Image 10746949.